The Cross were formed in 1987 by Roger Taylor who wanted his next solo venture to be performed 'live' in the studio. He placed anonymous adverts in national newspapers, and at auditions he chose Peter Noone, Clayton Moss, Joshua J. Macrae, and Spike Edney, who had played with Queen on stage between 1984 and 1986. 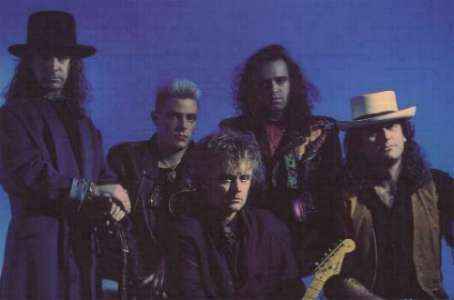 The Cross spent the rest of 1987 recording their debut album, and making a few television appearances. Their debut single, 'Cowboys And Indians', was released in September and reached no 74, which remains the highest charting single of their career. Their second single, 'Shove It', was released in January 1988, and reached no 84. The debut album, also called 'Shove It', was also released in January 1988, featuring eight Roger Taylor penned tracks, while the US edition featured an exclusive bonus track 'Feel The Force'. Despite guest appearances from Freddie Mercury and Brian May, the album stalled at just no 58 in the charts. The band promoted the album with tours of England and Germany. The third single, 'Heaven For Everyone', was released in March, and featured Roger on lead vocals instead of the familiar album cut with Freddie's vocals, and reached no 83, just one place higher than it's predecessor. However, the track would later be revisited by Queen for the 1995 album 'Made In Heaven', becoming a big hit, reaching no 2 in the charts. The band released their final single of the year, the non-album 'Manipulator', in June, which was the first Cross track not written exclusively by Roger. A collaboration between Roger, Spike and Steve Strange from the group 'Visage', the track failed to chart. 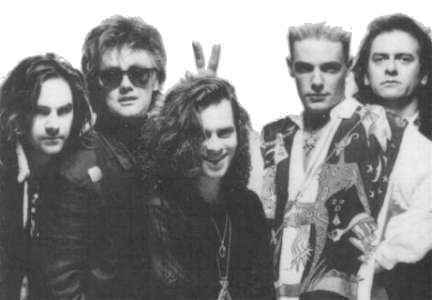 The band performed at a Christmas fan club party in 1988, and were joined by Brian May and John Deacon for four tracks. 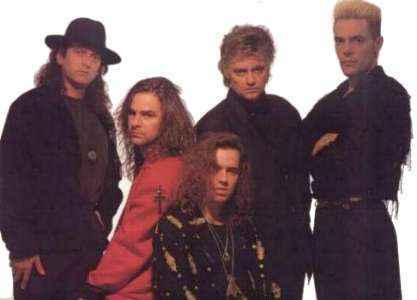 The Cross spent much of 1989 recording their second album, titled 'Mad, Bad and Dangerous To Know', eventually released in March 1990, which failed to chart. The album featured tracks written by the other members of the group, and one cover version, Jimi Hendrix's 'Foxy Lady'. In April 1990 their final UK single was released, the anthemic 'Power To Love', which reached no 85 in the chart. The band promoted the album with a tour of Germany, but no UK appearances. In August 1990, they released their second single from the album, the Germany only release 'Liar', featuring a non-album B-Side 'In Charge Of My Heart'. The final single from the album, 'Final Destination', was released in November in France and Germany only, and featured a live version of Roger's 'Man On Fire'. The band completed the year by playing at a fan club party at the Astoria Theatre, London, and were joined by Brian, which was later released as a fan-club only cassette. The first half of 1991 was spent recording the band's third and final album, which featured 10 tracks, and is regarded by many as their best. However, it was only released in a few countries, as the scheduled releases for the UK and USA were cancelled after Freddie's death. They promoted the album with a tour of Germany and neighbouring countries, with a show in Dusseldorf later released as a second fan-club only cassette. The band released two singles in Germany, 'New Dark Ages' and 'Life Changes', with the later withdrawn, becoming much sought after for the excellent non-album track 'Heartland'. Both Freddie's death and poor record sales meant that the band decided to call it a day as far as recording goes. However, they played at the Gosport Festival in 1992 with a guest appearance by Bob Geldof, and at two fan club parties in 1992, with Roger Daltrey, Tim Staffell, and Brian May all making guest appearances. Further shows came at the Gosport Festival again in 1993, and a further date in 1999 without Roger or Joshua J. Macrae, but they were joined by Brian. In 2013, all of The Cross' albums and singles were re-issued on CD and download as part of Roger Taylor's career spanning boxed set, 'The Lot'. The band also reformed for a special one-off 21st anniversary reunion concert at the SAS Band Christmas Party in December, playing twelve tracks, largely chosen by fans through a Facebook poll. Since The Cross disbanded in 1993, Spike Edney has continued to work with Queen, Brian and Roger on live shows, the 'We Will Rock You' musical, and various other projects, while Joshua J. Macrae has worked with Queen and Roger on many occasions, touring with him in 1994/5, and co-producing and co-engineering several albums.